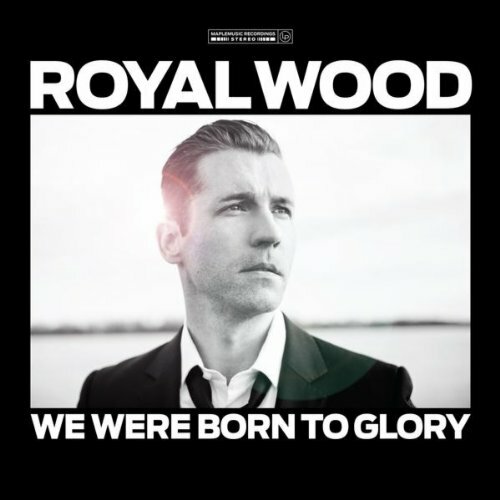 Upon listening to Royal Wood’s new album, “We Were Born to Glory” I could not help, but get the sense I was listening to a modern-day Beatles musician. Canadian pop singer and songwriter, Royal Wood’s brings an energetic, positive pop sound to his music, which is why I went so far as to say he sounded like someone from The Beatles. The Beatles were known for their playful pop sound, their fun, get-up-and-dance beat, their powerful lyrics, and their high-energy rock sound. It is evident that Royal Wood’s has had some influence or has found inspiration in the fab four as shown by his musical style, which focuses on: basic rock features, incorporation of the acoustic piano, pop ensembles, slight vamping and vocal harmony. The albums on his tracklist capture a powerful meaning, as does the title of his album. Very few times will an artist arise or release a new album that actually has purpose—ironically since music was “intended” to be a medium of expression and not an avenue or gateway for lyrics like, “You a stupid, hoe,” or anything similar that bases itself on over-9000 vamping. “The Fire Did Go,” “Will We Ever Learn,” “Not Giving Up,” “The Thick of It,” and many more, are just a few examples of his pop influences and inspirational lyrics. I really encourage you to take a listen to the lyrics and really appreciate them for what they are worth. I am actually very impressed with the entire make-up of the album and it can serve as a beacon for those looking for good music out there in the sea of sequences, synthesizers, and horrible lyrics and vocals.